The home of the Brits, the U.K. is a huge tourist destination while visiting Europe and definetely worth a holiday on it's own. The country is home to one of the trendiest cities in the world, London, and the typical rolling hills that make the English countryside famous in Devon, Cornwall, Cumbria, Wales, the Cotswolds and Scotland. Map of the U.K.
You can visit our page on this world famous university town by reading our guide about Oxford. Please visit our page on Cornwall. Take a boat up the Thames from Westminster pier (near Westminster tube) and enjoy a guided tour of the buildings situated along the river on your way to Greenwich village. Alternatively you can take the overland train from Charring Cross Station or the Docklands Light rail from Tower Hill. At Greenwich you could enjoy a walk through the park and stand on the Meridian line. If the weather is good you may want to take a picnic basket along or you may fancy a meal in the village. A great day out for all ages! You have a selection to choose from! Windsor Castle is approximately 20 minutes on the overland train from Waterloo Station. You can go on a tour through the castle and feast your eyes on the beautiful scenery. If you have an entire day to spend in the countryside why not take a train from Victoria Station to Leeds Castle. You can buy an all-inclusive ticket that will cover your train fare, bus ride to the Castle and the entrance. The castle itself is fairly modern but the gardens and the aviary are a must see. Be sure to wind your way through the maze and get yourself in a spin! You could also visit Hampton Court previously home to Henry the VIII and his unfortunate wives. It is about 15 miles from Waterloo. In the summer they have evening concerts - plan ahead and spend a romantic evening in the gardens. Salisbury - Salisbury is the village before famous Stonehenge. 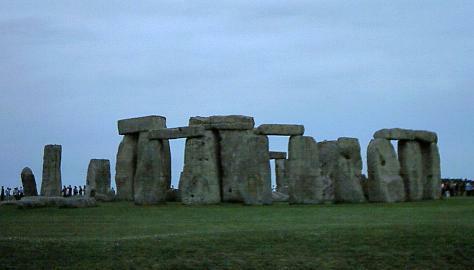 It is possible to catch a train from Waterloo to Salisbury and then go on to Stonehenge. 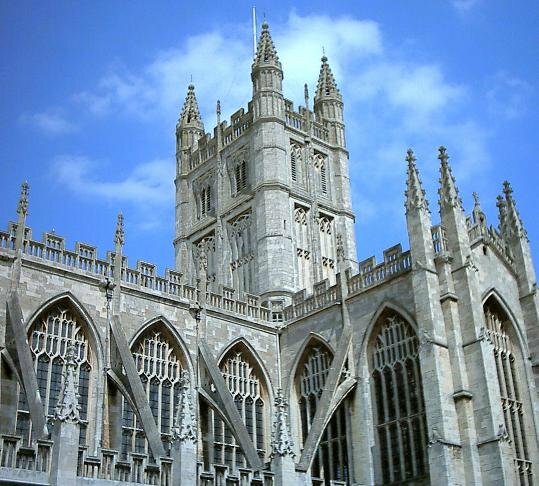 You could also take a bus trip if you have a day to see Stonehenge and then move on to Bath. In Salisbury you can see the Salisbury Cathedral - an early English style Cathedral. Spend an hour wondering around and then move on to Stonehenge. Stonehenge - Strange but wonderful the boulders and how they got there will keep you pondering for hours. Work on this monolithic sight was built around 3000 B.C. and still remains in place. A marvel considering the wear and tear it has been through in over 5000 years. You can pay to go near the boulders and you will also be given a headset for your own personal guided tour. Devon - County Devon is home of cream teas, rolling mountains stunning scenery. This is truly English Gentlemen countryside where you will see lovely homes in quaint villages coupled with nice ocean views and countryside walks. It is only a four- hour train trip from Paddington - make a weekend of it but be sure to hire a car to get around. Visit the University and take a paddle down the river - try and go while the students are in Uni- more shops are open and the atmosphere is distinctly buzzing. Cardiff is the capital, renowned for its Millennium Football stadium. Get out of the hustle and bustle of the city and you will find a gorgeous countryside. Walk in the Snowdonia mountains and take a trip through the Pembrokeshire reserve. This is a wonderful little town and warrants at least a one or two day visit. The Cathedral is awe- inspiring. They even offer ghost walks through the town to delight you - look out for the "town criers" and who will tell you where the next group will meet. You will also want to take a walk along the wall that surrounds the town and dates back to the days of the Vikings. 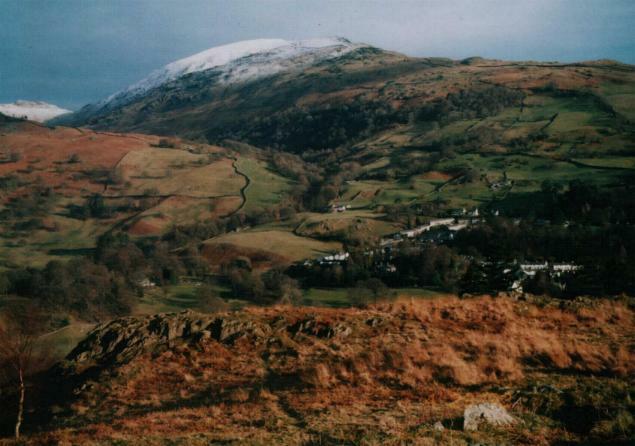 Situated between Manchester and Scotland, the Lake District is England's Alps. 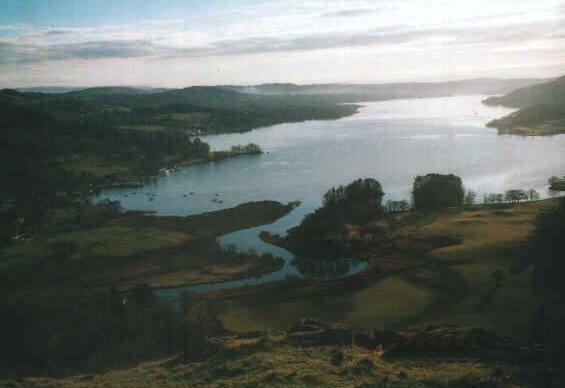 Terrific scenery, beautiful lakes and cute country inns dot the landscape. It is a major destination for the Brits on summer holidays for boating, hiking and country living and is much quieter in winter when the weather isn't so welcoming. Do bring warm clothing if visiting during the winter, as it is not uncommon to have snow. Going to the pub is a national past time. Enjoy many of the fine ales, lagers, stouts and other at the numerous pubs around the country. The beautiful game, football or for others soccer, is followed with tremendous passion by most in the UK. In London, there is no shortage of teams to see but tickets for the more popular clubs are hard to come by. The most popular clubs in the country are Arsenal, Chelsea, Leeds, Liverpool, Manchester United and Tottenham. With a huge amount of Ales, countless number of different beers, have a taste of all the varieties, you'll like them. Traditional English dish with deep fried fish, French fries and peas. The Brits love their breakfast and this one is hearty. Eggs, bacon, sausage, blood pudding, fries, beans and toast with a coffee will fill up even the greediest of eaters. Most pubs in London offer traditional English meals ranging from £4 to £8. The English are big fans of a roast. Be it ham, lamb, chicken or beef, have a roast dinner on Sunday. Stilton, cheddar double Gloucester and Leicester, the English have an excellent cheese pedigree. Yorkshire pudding is traditionally from the county of Yorkshire is usually served with roast beef and gravy. The Brits are big curry fans. You can find excellent hotels all around England and the United Kingdom. Many of the main hotel sites will have listings for you in the U.K. Find United Kingdom Hotels. There are numerous hostels around England offering short and longer-term accommodation to the traveler on a budget. To search and book a hostel in the UK - Hostels in England. There are plenty of Bed & Breakfasts in England and usually offers the best value for money. You may even be able to find self-catering accommodation in rural areas. You may want to rent an entire cottage for you and your friends or family if planning an extended stay in the countryside. There are numerous companies with cottages for rent around the country and they range from small to extremely large with the price also growing in size as you look for bigger and bigger cottages. The U.K. has plenty of airports. In London itself, there are 5 airports. They are Heathrow, Gatwick, Luton, Stansted and City airports. There are also major airports in Edinburgh, Glasgow, Manchester, Liverpool, Newcastle and the Midlands. Connections to a number of destinations are available on arrival by bus, train or car. The British National carrier is British Airways. The United Kingdom has an extensive train network covering the entire country. You can find train tickets in England and the U.K. at www.thetrainline.com. Take one of the famous London double deckers for £1 and it will get you around the city no problem. Other cities also have extensive bus networks to get you around the city. We do not recommend you rent a car to visit London but the rest of England is fine. Traffic is heavy in London and finding your way is a nightmare. Gas prices around the country are quite high and forget about finding parking in London. The renowned black cabs of London know the best routes around the city and the fares are decent. Worth a look at night if you are not sure how to get back to your lodging. Other cities have similar Taxi networks are a good way to get about town. The London Underground covers the city and offers an affordable way around the city. Avoid it during the rush hours (7:30am to 10am and 5pm to 7pm) as the locals are commuting and prices are higher. The English are a great bunch. They love to have fun, go out on the town and enjoy a drink or two. They love to tease tourists but it is all for a little bit of fun to spice up the day. You will find them welcoming and warm although they may seem a little bit cold in London.